AdvantaPass is a patented system that permits the aseptic transfer of fluids between the walls of pharmaceutical manufacturing suites. It's the first system of its kind to offer complete isolation between different classes of clean rooms when transferring multiple lines of fluid through a single stainless steel pass-through wall portal. AdvantaPass provides a practical, safe, secure and easy way to move large volumes of liquids from one room to another without the risk of bin breakage or spillage. Its incorporation of Single-Use disposable components eliminates cleaning validation requirements that involve the expense and waste of time, labor and natural resources. 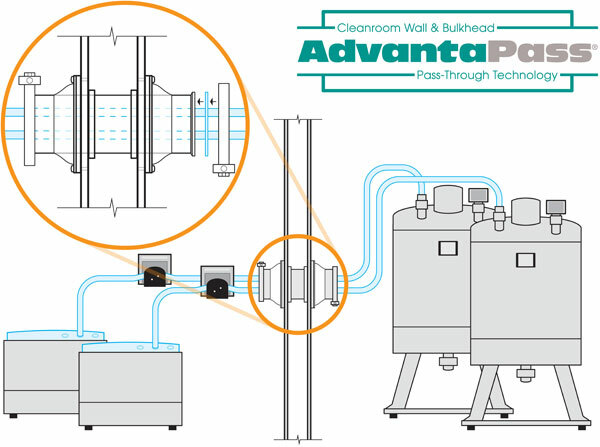 The AdvantaPass cleanroom pass thru system is custom produced to accommodate different wall thicknesses. It can also be adapted for floor-to-ceiling conveyance. AdvantaPass uniquely manages multiple tubing apertures, as well as purge ports, through a single wall portal. The pass-through system can save thousands of dollars as compared to other pass-through methods that involve numerous moving parts and frequent maintenance. 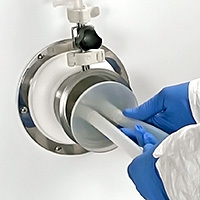 AdvantaPass reduces production stoppages for sterilization and validation of hard piping transfer systems, which use natural resources, cleaning chemicals that must be disposed of, time and labor. The system's Single-Use components allow for flexibility from one transfer to the next, minimize the risk of cross contamination and increase productivity and efficiency. 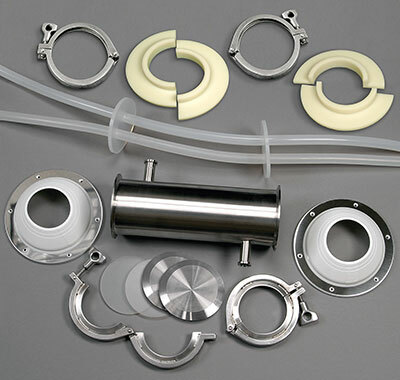 AdvantaPass uses 316L stainless steel components such as portal assemblies, end caps and hygienic union clamps to form a secure barrier, while it incorporates single use tubing, seals, gaskets and isolator assemblies for fluid transfer processes. AdvantaPass is offered in standard sizes up to 6" diameter with larger dimensions available on request. Note: The use of non-BPE-compliant components may result in an improper isolator seal. 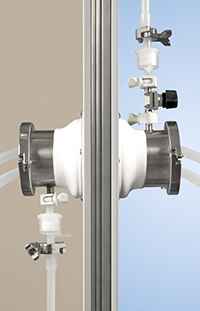 Single or multiple tubing ports, where one pass-thru system can serve several different tubes, is unique to AdvantaPass. 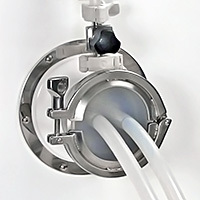 Choose from aseptic or open connector configurations to adapt to your process. Single or double isolation barriers maintain the proper environment. Purge ports are available to filter any potential transfer of viral- active product from one suite to another. Purge ports also introduce filtered air, creating a pressurized portal for complete isolation between classified areas. This case study describes the implementation of the AdvantaPass Cleanroom Wall Pass-Through System used to aseptically transfer fluid between areas of different grade classification in a fully Single-Use cGMP facility. AdvantaPure specializes in the design and manufacture of molded Single-Use manifold assemblies for sampling and storage applications. 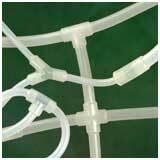 These assemblies are available in platinum-cured silicone or biopharm grade TPE. Low-volatile grade, platinum-cured silicone tubing is clean-room produced for critical pharmaceutical, biomedical, cosmetic, and food applications. APST has undergone extensive physical, chemical, and biological testing and meets USP Class VI, FDA, ISO, European Pharmacopoeia, and 3-A standards. AdvantaFlex addresses the need for a sterilizable, moldable, heat sealable and weldable biopharmaceutical tubing that does not contain silicone oils. AdvantaFlex maintains its physical properties following sterilization processes, resists kinking, remains translucent for visible product flow, and does not become gummy. Its unique properties help it outperform similar tubing in peristaltic pumps.